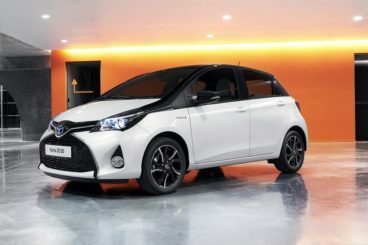 The new Toyota Yaris Hatchback is a sensible family choice if you want a cheap and cheerful small car that is practical, reliable and cute to look at. The Yaris has always been a car you can depend on. Easy to drive and versatile, it’s one of those cars that gives you absolutely no hassle as you go about your everyday chores. In 2016, the trend continues and Toyota have even built upon all of this car’s previous success. It’s now more spacious and comes with an even longer warranty. OSV takes a closer look at what it’s all about with our Toyota Yaris Hatchback review. Getting you from A to B without any hassle is what the Yaris has always been about. It can turn on a sixpence, which makes it the perfect city car and its light controls also make it the ideal hatch for pottering about in the city. It’s super easy to park, too, thanks to its size and nimbleness. Remember those cartoon characters that could easily slip away from police officers by squeezing through a hole in a fence? The Yaris is like that. While bigger cars struggle with tight spots, this one just leaves them hanging. However, while ease of movement is definitely one of this car’s plus points, it isn’t as entertaining to drive as some of its rivals in this class, most noticeably the Ford Fiesta. It’s not as controlled and doesn’t give you as much confidence in bends. The engine range kicks off with a very small 1.0-litre petrol unit that lacks power and as such takes a rather sluggish 15.3 seconds to get you from rest to 62mph. It’s a brave little solider, but overtaking on the motorway will be tricky. The 1.33-litre petrol model is a better choice if you already know that you’ll be spending a decent amount of time on the motorway and it can cover the 0-62mph dash in 11.7 seconds. There are no performance engines in the range and the closest you’ll get is a 1.4-litre diesel engine that is perky and powerful enough to haul you from a standstill to 62mph in just 10.8 seconds. In fact, it actually feels quicker than those numbers. It costs more to buy, though. You’ve also got the option of a hybrid engine, which is exempt from the London Congestion Charge. However, it’s expensive to buy, while the noisy CVT automatic ‘box is off-putting. It isn’t a noise that rises and drifts – it’s constant. It’s hard to recommend. Toyota wanted to make a Yaris that was even more comfortable than last time around and have tweaked the suspension, so that it’s now softer. It’s worked, with only the rather stiff hybrid offering less-than luxurious levels of comfort. The hybrid is also the least refined of all the models, thanks to the aforementioned CVT automatic transmission. 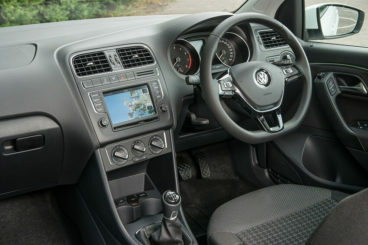 The cabin is well-built and will last a long time, but it lacks as much high quality as, say, the VW Polo. You don’t have to look too hard to find scratchy surfaces where rivals have used soft touch plastics, but at the same time, there is still a lot to like about the interior’s styling. It’s refreshingly different to what other cars in this sector are offering and the 6.1” touchscreen is a highlight. The new Yaris Hatchback for 2016 is available in either three or five door guise, with the latter able to offer more passenger space than cars in the class above. The old rear seat that reclines and slides has been done away with, but rear head and legroom has never been better. Access to the back is not as easy as 1,2,3 thanks to rear doors that don’t open as wide as you’d like, but once you’re all inside you won’t be disappointed with the room on offer. The boot measures 286-litres and comes with a big opening but a rather high load lip. As such, practicality here is compromised. Still, you can fold the rear seats to extend the size to 786-litres. The base-level model misses out on the 6.1” touchscreen, but standard equipment is overall good across the range. Moreover, the entry-level model is £1,000 cheaper than last time around and as such it’s hard to argue that it’s well equipped, despite missing out on the touchscreen. It gets 15” steel wheels, power adjustable door mirrors, a six-speaker stereo, electric windows and seven airbags. The Icon trim adds 15” alloys, satellite navigation, a shiny chrome exterior, the touchscreen infotainment system, DAB digital radio and cruise control. The Design model throws in 16” alloys, chrome fog light surrounds and a rear spoiler, while the Excel spoils you with the kind of advanced tech that you’d normal associate with a Lexus. Prices for the new car start out from £11,500 and rise to just over £18,000. If you prefer to lease you can find out more information on our leasing deals, on our page here. In terms of running costs, this compact Toyota Yaris does very well. Naturally, it’s the hybrid engine that grabs all the headlines and it’s capable of averaging fuel economy returns of 85.6mpg. The 1.4-litre diesel is a better engine, though. It moreover averages fuel economy returns of 80.7mpg, which is very respectable. Even the 1.33-litre petrol is reasonably frugal, not all that expensive to buy and is good for 57.6mpg. The 1.0-litre petrol should, in general, be cheaper to run, but when you work it hard on the motorway, it gets a bit parched. 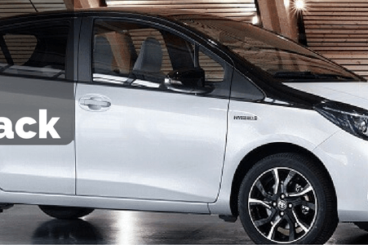 Used values are okay and the 2016 Yaris is expected to hold onto up to 45% of its original price after 3 years. It comes with a very attractive five-year warranty and the base level variant occupies insurance group four. In other words, cheap as chips! Easily the trump card of this car its running costs. Whichever spec you choose, you aren’t going to dig deep into your pockets to keep it on the road. This may only be a small car, but don’t let that fool you when it comes to interior space. Make no mistake, Toyota have used the limited dimensions very well and the car can even rival the Ford Focus for roominess. The Yaris Hatchback has always been the envy of its rivals when it comes to reliability and the 2016 variant continues the trend. Reliability is one of its biggest strengths and this is a small family car that is destined to keep you out of trouble on those dark, wet evenings. The hybrid engine makes a lot of sense if running costs are your priority, but saving the extra cash doesn’t seem worth it if the engine costs a lot to buy outright and is constantly noisy. “Look, and you shall find”. Actually, you don’t even need to look all that hard. Scratchy plastics are pretty much right in front of you. Slightly disappointing. Let’s see how the car measures up against its rivals in the comparison section of our Toyota Yaris Hatchback review. The new Volkswagen Polo Hatchback is a well-equipped small family car that is fun to drive and which can boast a top quality interior. It might not be the most fun car to drive in the range (that particular honour goes to the peerless Ford Fiesta), but it’s got enough agility to be considered a bit of an entertainer. It’s quiet and comfortable on a straight road, but it does come undone a bit when you take it down more twisting roads. The steering is a tad too light and can cause you to get a bit nervous if you approach bends with too much vigour, while there is a lot of body lean. Still, there are good engines to choose from, although we recommend that you overlook the entry-level 59 bhp 1.0-litre petrol, which is cheap but underwhelming. It takes 16.5 seconds to cover the 0-62mph ‘sprint’ which means overtaking on A-roads or motorways will be practically impossible unless you want to be embarrassed. The 75bhp 1.0-litre petrol shaves two seconds off the 0-62mph time, while a 108bhp turbocharged version of the same engine does the sprint in just 9.3 seconds. There are a few diesel engines available, too, which are sprightly and cheaper to run. The 74bhp 1.4-litre diesel, for example, is good for 83.1mpg and is free to tax. No engine is expensive to run though, with a 1.0-litre turbocharged TSI petrol unit able to achieve fuel economy returns of 65.7mpg while costing nothing in tax. The biggest thing that separates the Polo apart from the Yaris Hatchback is its interior. 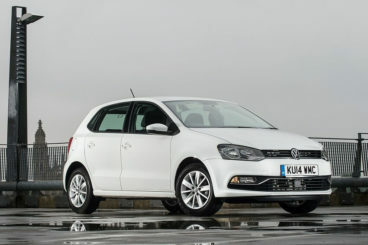 Whereas the Yaris’ cabin is marred by hard plastics, the Polo’s feels top quality throughout. Fit and finish is excellent and the design is overall modern but also tasteful and “grown-up”. Like the Yaris, the Polo is available in either three or five door guise. The front seats in the three door slide forward, while the doors open nice and wide for easy access. Storage spaces are plentiful, the interior is reasonably roomy, while the boot measures a competitive 280-litres. The new Ford Fiesta Hatchback is daringly designed, entertaining to drive, and cheap to run. 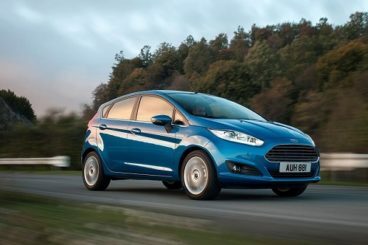 The Ford Fiesta remains the top dog when it comes to drivability. The steering plants you nicely on the road and it has all the twinkle-toed nimbleness of a ballerina. Easy to get around town in, it’s also the perfect companion for when you want to head out into snaky country roads and actually enjoy your Sunday drive. The engines are not all fab, though. The 1.25 and 1.6-litre petrol engines are now really dated and wheeze when you accelerate hard. They’re not especially fast or quiet, either. The 1.0-litre EcoBoost is a better option. Available in 98 and 123bhp power guises, they rely on clever tech to draw out more power than they’re probably got. The 123bhp variant is a lively customer and can get you from rest to 62mph in just 9.4 seconds. Only one diesel engine is available – a 1.5-litre TDCi unit that comes in either 93 or 72bhp guise. It’s a small engine and so like the Yaris the 2016 Ford Fiesta Hatchback is cheap to run. The 1.5-litre TDCi diesel power plant is the most frugal in the range and averages fuel economy returns of 88mpg. 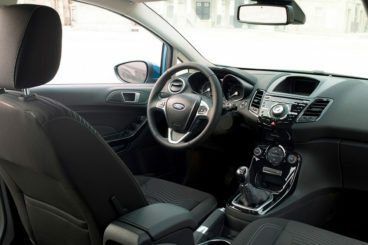 The Fiesta’s interior matches the boldness of the exterior and treats you to a sweeping dash, a quality infotainment system and a mobile-phone inspired layout. The driving position is fantastic whichever model you go for and you can customise the cabin however you like, thanks to an extensive amount of big-car tech on the options list. Practicality, however, is where the Fiesta falls down a touch. Its dimensions are not that much different to the Yaris’, but it just doesn’t use them as well. It’s easy enough to park, but head and legroom is tight in the rear. Moreover, access is poor. There are plenty of handy storage spaces dotted around, while the boot measures 290-litres. It can be extended to 974 if you fold the rear seats. For a long time, the Yaris has been in the shadow cast by illustrious rivals, such as the Fiesta and the VW Polo. But although the Yaris still can’t match the Ford when it comes to out and out fun, it’s finally ready for its moment in the sun. 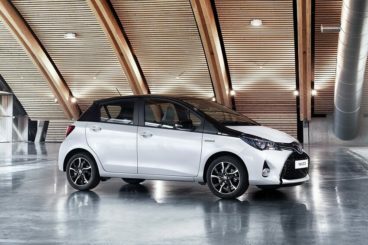 Low emissions, sensible pricing and good residual values – it’s hard to say No to the new Toyota Yaris Hatchback.